A tragi-comic mockumentary about four people whose lives have been destroyed by trolls. Sleep Tight is a series of short horror sketches made for the web. Jade Dragon is a mockumentary web series set in a Chinese takeaway. Starring Daniel York, Chloe Ewart, Stephen Hoo, Rebecca Boey, Divian Ladwa, Jennifer Lim and Rosie Revan. 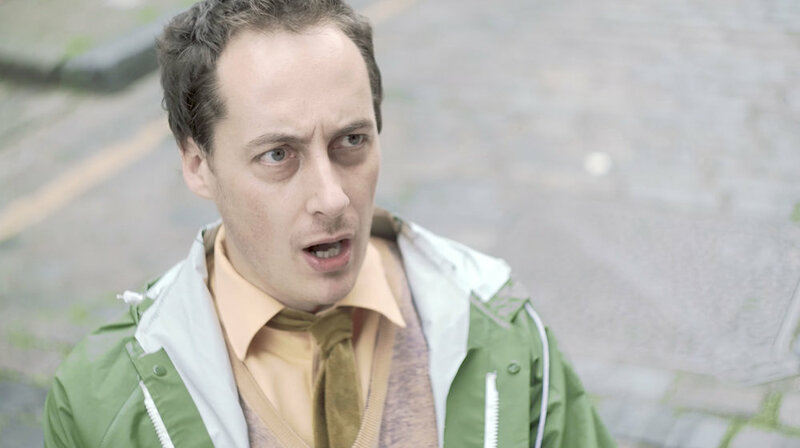 A zombie comedy short written by Tom Bell, starring Tom Bell and James Rowland. Award-winning comedy short written by and starring Tom Golding, along with Becci Gemmell, William Andrews. Produced in association with Great Stuff Productions and Team Wonderful. For Halloween last year we dramatised a bit of old English folklore. Starring Kellie Higgins, Rebecca Boey and Tom Golding. An award-winning comedy short about Chinesey people doing Chinesey things. Starring Daniel York, Anna Leong Brophy, Stephen Hoo, Rosie Revan and Rebecca Boey. A found-footage sci-fi horror set on an asteroid. Starring John Game, Kellie Higgins, Jennifer Lim, Rebecca Boey and Tom Golding. A binaural podcast, currently in production. The first series will be a first-person dramatisation of Greek myths. A sci-fi thriller set in an AI future. Starring Tiana Khan and John Game.